frockadvisor. Let the fashion people you love find the things you want. 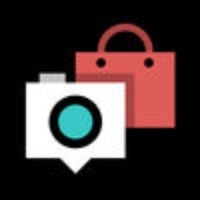 frockadvisor knows that you love to connect with your friends to find the fashion you want. We know that you want something different that special find. But all your favorite independent boutiques don’t exist online. frockadvisor brings all those great stores together so you can find the ones you love, and discover new ones. You get to connect online with your favorite boutiques, stylists, bloggers and friends. And what if you want something in particular? Post what you’re looking for and let the people you love and trust find it. Your favourite stores get an alert to tell them what you want and they send photos of options directly back into your hand. Pick your favourite retailers to create your own personal department store, then let the people you love help you find the fashion you want. Features Share photos of fashion you love and want right now. Follow boutiques and other fashion fans. Engage in 'fotocons' photo conversations with your fashion community. Connect directly with your favourite boutiques for personalised offers and products. Check these links to find your download for frockadvisor for & iOS or for your device iPod TouchiPadiPhone. The app frockadvisor is compatible with te following devices.